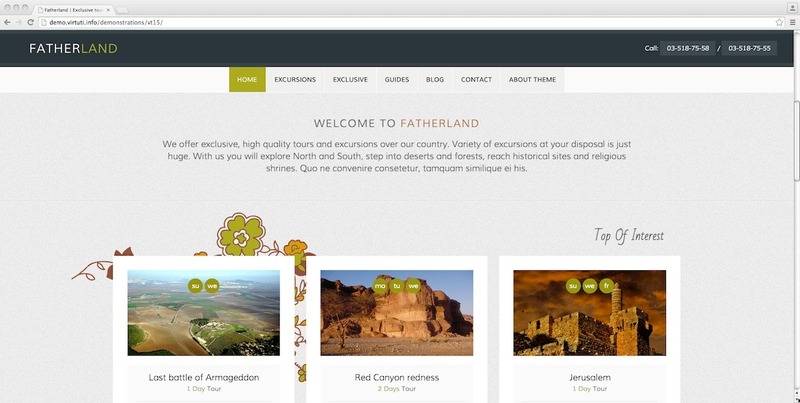 “Fatherland” is a theme created especially for local tourism agencies and has three main sub departments: Blog, Excursions and Guides. Besides, it has several page templates. 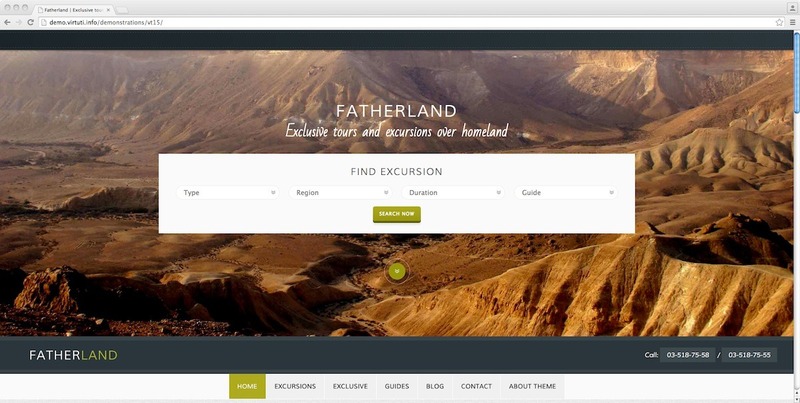 Website owner may list excursions with description, related information, images, galleries etc. The theme comes with a few metaboxes and custom widgets written specifically for this theme. 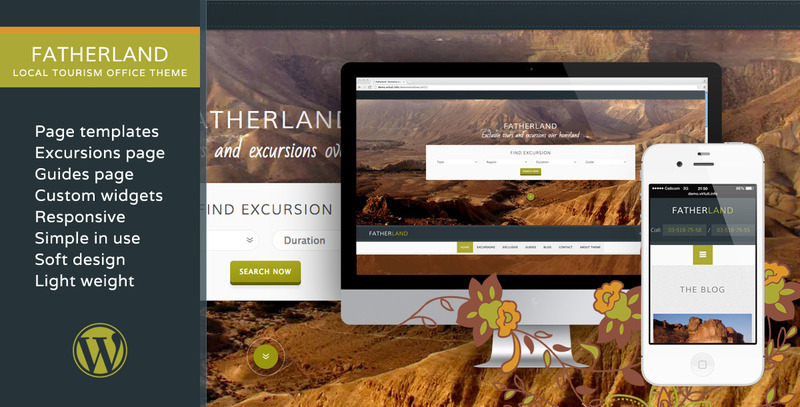 These additions help to enrich and organise post content in fast and comfortable way. 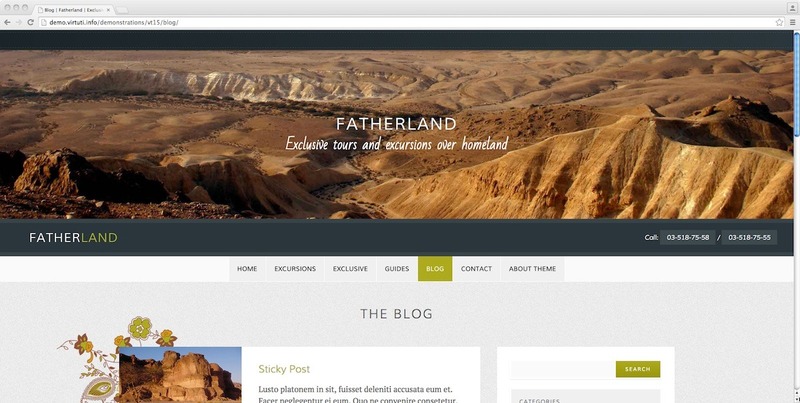 This theme is built on default WordPress functionality, no shortcodes, visual builders, third-party plugins etc. Photographs are not included, please use your own. PDF Help file comes with screenshots and explains everything you might need for arranging the theme in proper way. Please read more here: http://demo.virtuti.info/demonstrations/vt15/about-theme/ this is important to read prior purchasing.